As a communicator of God’s Word, you know how critical it is to be both true to the biblical text and relevant to the contemporary listener. Your congregation looks to you each week to deliver a message that will engage their minds and stir their hearts. This is no easy task. Talbot can help. The Advanced Biblical Preaching specialty track will equip you with the concrete skills and hands-on coaching that will take your preaching to the next level. With Dr. Don Sunukjian serving as your faculty-mentor, you will expand your ability to communicate biblical truth with accuracy, clarity, interest and relevance. During your first year in the program, Dr. Sunukjian will provide a complete overview of the process of preparing biblical sermons from start to finish. You will hone your skills in moving from the text to the sermon, developing outlines that reflect the biblical author’s flow of thought and shaping your sermons for maximum impact. You will also receive advanced training in the art of persuasion through the study of communication theory regarding attitude and behavioral change. Each student will also have the opportunity to prepare and deliver a didactic sermon from the Epistles and receive feedback from the class and Dr. Sunukjian. During your second year, you will learn more about how to analyze your audience and respond to the challenges of gender, vocation, age and culture. You will learn to prepare biblical topical sermons to address the specific needs and life situations of your audience. You will also begin a comprehensive study of the unique characteristics of the narrative literature in both the Old and New Testaments. Each student will also prepare and deliver a sermon from a narrative section of Scripture and receive feedback from the class and Dr. Sunukjian. During your third year, you will delve into some of the more daunting and difficult literary forms of the Bible. You will learn to preach the Prophets, Proverbs, Psalms and Apocalyptic literature in a way that is congruent with the biblical text. You will also explore some creative preaching forms that you can use. In this year you will address the challenge of balance in the preacher’s personal life. Each student will also prepare and deliver a sermon from the prophetic literature and receive feedback from the class and Dr. Sunukjian. 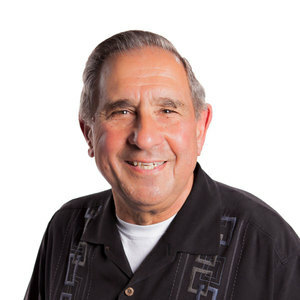 Dr. Don Sunukjian is Professor of Preaching and Chair of the Department of Christian Ministry and Leadership at Talbot. His lifelong love has been preaching, both as a pastor and a teacher. With doctorates in theology and communication and over two decades as a senior pastor, he brings both scholarship and experience to the classroom. He is the author of Invitation to Biblical Preaching: Proclaiming Truth with Clarity and Relevance, and the three volumes of contemporary biblical sermons, Invitation to James, Invitation to Philippians and Invitation to the Life of Jacob. He has also contributed to The Bible Knowledge Commentary, Biblical Preaching, Walvoord: A Tribute and The Big Idea of Biblical Preaching as well as numerous journals. Dr. Sunukjian has conducted pastors’ conferences throughout the United States and maintains a regular preaching schedule.